The Fresno State Plant Science Club again received the President’s Trophy for beating many of the nation’s top agricultural universities at the recent Students of Agronomy, Soils and Environmental Sciences national club speech contest. The nation’s top university plant science competition was held Oct. 22 at the Tri-Societies national conference (American Society of Agronomy, Crop Science Society of America and Soil Science Society of America) in Tampa, Florida. 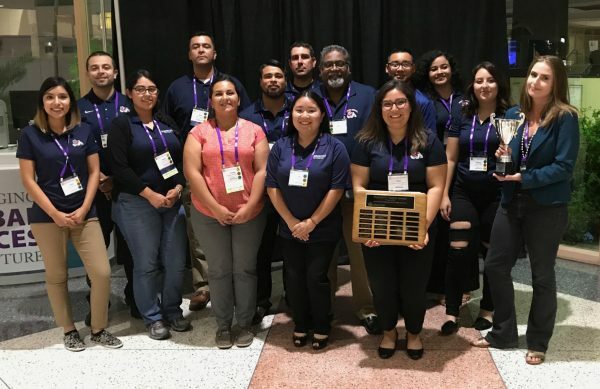 Fresno State claimed similar top honors in 2012, 2014 and 2016 for its presentation about the club’s community service, educational outreach and professionalism in plant, crop and soil sciences. Other notable universities that competed in the 15-team field included Auburn, Colorado State, Iowa State, Kansas State, North Carolina State, Oklahoma State, Purdue and Texas A&M. Among the 12 Fresno State students who attended the conference, Maier delivered the team’s PowerPoint presentation. Three seniors entered research poster competitions: Diana Camarena (Modesto), Jose Delgado (Gonzales) and Briana Quintero (Salinas). 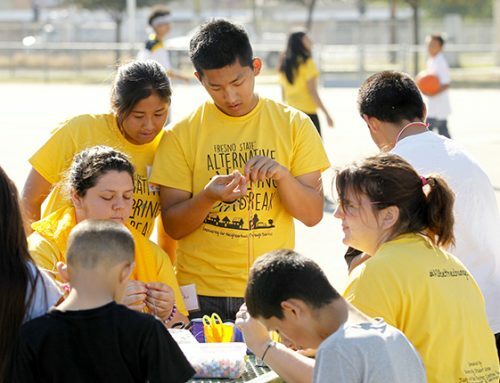 Other students who traveled to the event included seniors Katie Asai (Fresno), Mark Castanon (Fresno), Bibiana Urbina (Monterey), Ricardo Rodriguez Baeza (Mendota), Nancy Valdez (Wasco) and Travis Woods (Woodlake); junior Georgina Reyes Solorio (Livingston); and sophomore Anthony Venegas (Salinas). Fresno State students also competed in a quiz bowl and crop judging competition and attended research presentations and sessions for career planning, community outreach and grant writing. Travel expenses for Maier, Reyes Solorio, Valdez were covered by the American Society of Agronomy after they were nationally recognized as a Golden Scholar and Greenfield Scholars in July. Remaining students received funds from Associated Students, Inc., plant science career fair industry sponsors and a private donor. For more information on the conference, visit www.acsmeetings.org.